Spring is a season of warmer weather, beautiful blossoms, and outdoor activities. 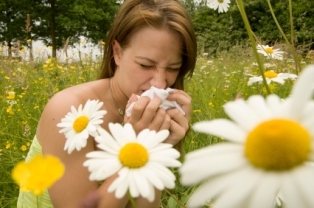 We enjoy all the favorites of spring, but some find it intolerable due to seasonal allergies. Natural remedies, such as acupuncture and traditional Chinese medicine can improve clear symptoms of allergies and bring the body to balance thus allowing for a higher state of health and well-being. 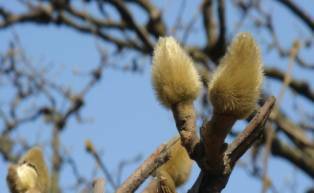 People with seasonal allergies react to the pollen of flowers in trees, grasses and weeds with symptoms such as itchy eyes, sneezing, runny nose, headaches, and fatigue. Medications are widely available, even over the counter, yet they come with their own host of side effects including the temporary loss of smell and taste. Other side effects include headache, fatigue, wheezing and abdominal pain. Medications do nothing to improve health and prevent further allergies. Allergies are a sign of an imbalance in the immune system. Balancing and strengthening the body can decrease or even rid oneself of seasonal allergies altogether. Traditional Chinese Medicine, including acupuncture and herbal remedies, does just this. Treatment with Traditional Chinese Medicine is two-fold: clearing the symptoms and balancing the meridians, thus improving overall health. Acupuncture is excellent in treating the symptoms of allergies. Many allergy symptoms are located in the head (stuffiness, headache, itchy eyes) which reveals to the acupuncturist that the energy is not flowing smoothly from the head into the rest of the body, and vice versa. All the yang meridians flow from the hands up to the head and from the head down to the feet. Using needles on the head and neck opens the yang channels and allows the energy to flow. The use of herbal medicinals, such as Xanthium (Cang Er Zi), Magnolia Flower (Xin Yi), Saposhnikovia (Fang Feng), Forsythia Fruit (Lian Qiao), Chrysanthemum (Ju Hua), Schisandra Fruit (Wu Wei Zi), Platycodon (Jie Geng), Anemarrhena (Zhi Mu), Angelica (Bai Zhi), Schizonepeta (Jing Jie), opens the sinuses and clears the head and eyes allowing for symptom relief. Acupuncture also helps balance the body which improves overall health. This is done by taking a complete intake and assessment of every client who comes for treatment. Acupuncturists treat very specifically and individually, making sure the underlying cause of allergies (or any other symptom) is cleared. When the body is in balance, symptoms disappear and health is restored. Along with needles herbal formulas may be given which are specific to each person to restore balance and health. While allergies can put a damper on enjoying the best the season holds, there is natural relief for allergy sufferers. The relief need not be temporary: when the body is brought to a higher level of health renewed energy, flexibility and joy of living is restored.